The village of St. Martin's is situated in North Shropshire just 6 miles north of Oswestry and 3 miles east of the Welsh town of Chirk. 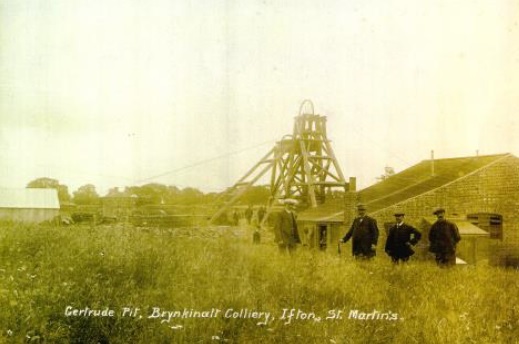 Agriculture predominates the beautiful landscape of the parish however until 1968, coal was successfully mined here for more than a century. The village church is dedicated to St Martin and the parish was part of the Welsh Diocese of St Asaph until 1922 when it was transferred to the Diocese of Litchfield in England. For centuries the village was under the influence of Middleton’s of Chirk Castle and later passed to the Trevor family of Brynkinallt in Chirk. Originally the village was made up of the local townships of Ifton, Wigginton, Bronygarth and Weston Rhyn. All of these townships bordered Wales and the River Ceiriog and the River Dee forming a natural border. By 1870 Weston Rhyn and Bronygarth were formed into the new parish of Weston Rhyn. 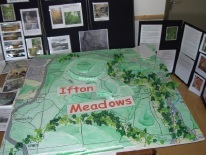 Ifton Meadow is a Nature Reserve which has extensive views over the clwydian hills, created using land reclaimed from what was once a colliery spoil. The site supports a wide variety of wildlife from a magnificent display of spring woodland wildflowers to birds such as skylarks and woodpeckers, bats, dragonflies, adders and grizzled skipper butterfly. A busy industrial estate uses some of the old colliery buildings. In the 19th century Thomas Telford constructed the Ellesmere Canal through the village. The canal linked the industrial areas around Ruabon to the canal network and now forms a small part of the Llangollen canal. The canal is now part of the famous Llangollen canal attracting visitors from around the world. Just over a miles from St. Martins along the canal will bring you to the Pontycyllte World Heritage area, which includes both Chirk and Pontcysyllte Aqueduct.